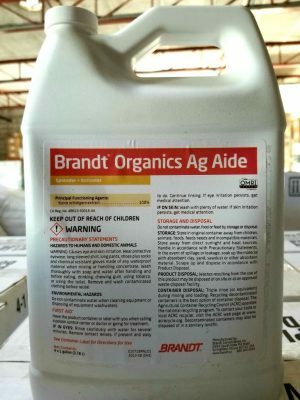 Brandt Ag Aide is recommended for use where a natural, non-ionic surfactant (wetting agent, spreader) is needed for foliar applications of fertility, pest control or weed control. Can be used with most pesticides. Rates are dependent on water analysis and may be product specific. Replaces Green Cypress Ag Aide.